The Crotto del Misto has a long history with traditional cuisine. It was already well known when the sailing ships called “gomballi” sailed the lake. The boatmen knew it was a place where they could find fresh fish, home made salami, excellent wine aged in marvellous cellars, the simple yet important things one looks for and can find, even today at Crotto del Misto. 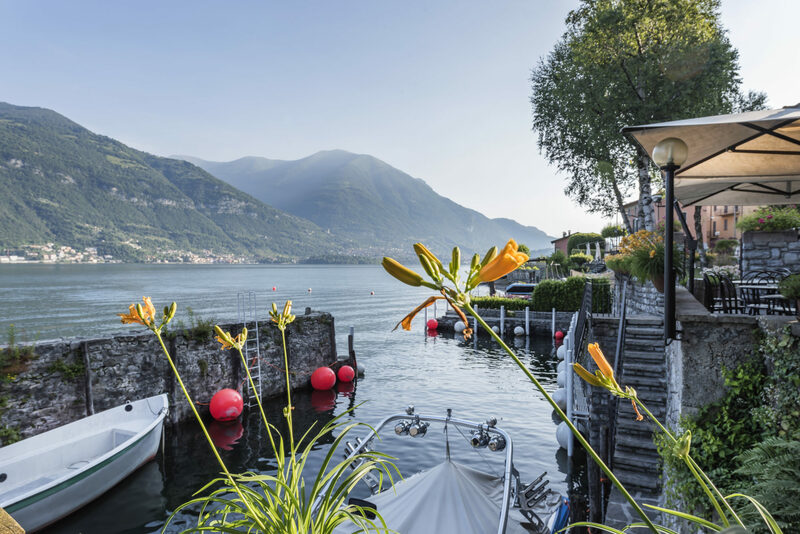 The dishes we present to you are the product of centuries of experience….experience of the cooks and your hosts that were and are, before everything else, “uomini di lago” (people of the lake). The restaurant has a wide selection of menus for banquets and weddings, with attention to the smallest details. Starting from the aperitif buffet served on the lake, to the choice of dishes, wines, flowers and decorations. It is possible to spend a different day or organize a team building event putting together a lunch or dinner at the restaurant and club MORGAN activities (wakeboard, wakesurf, waterski, stand up paddleboard, kayak). The Crotto has a big private car parking for our customers. Who wants to join us by boat will find many dockings inside and outside our darsena, equipped with fenders. Our staff will help for docking if you need. Summer season: open 7 days a week. Check on the “news” section on this website or our facebook page for eventual closing day during early or late season.